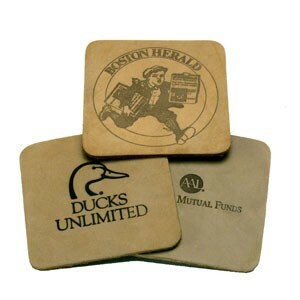 Coasters make great gifts or promotional hand outs. These natural buffed leather coasters are a classy upgrade from plastic or fabric versions. Overall Size: 3 3/8" x 3 3/8"